Ms Olean is ALWAYS behind the counter. That has to be the secret to the great food at Olean’s. She is absolutely in charge of the place. There are competitors but there is no better soul food in Tallahassee. 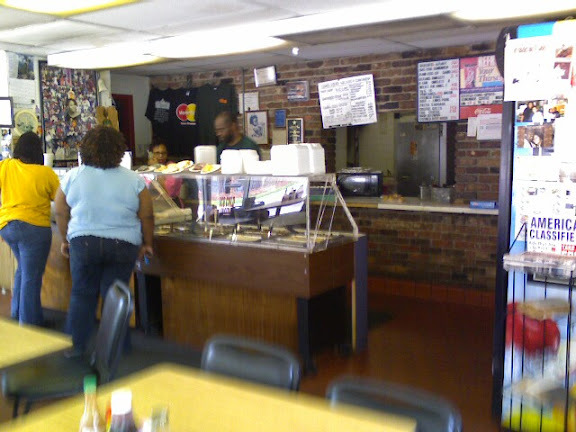 The store front is an old fast food restaurant on South Addams just across from FAMU. You will be greeted by gospel or soul music and a friendly hello. Just step up to the counter and look over the offerings. I always have the same problem when I get there- Everything looks good but I want the chicken. 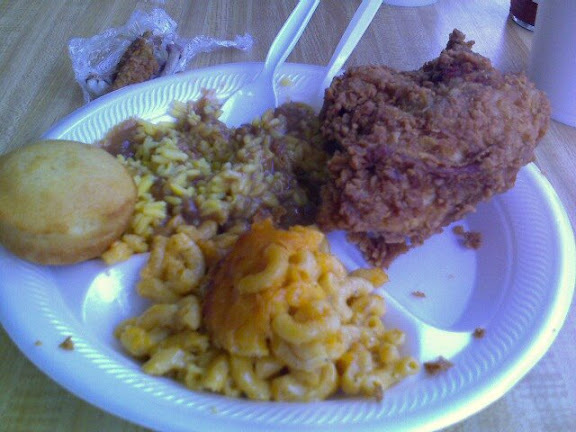 The choices always include Chicken, Collards, Mac and Cheese, and cornbread. Around that core other country staples rotate in and out: Fried fish, meatloaf, smothered pork chops, yellow rice, limas, green beans, Sweet potatoes and okra. If they have the Yellow rice ask for them to top it with pork gravy. My only criticism is the tea is teeth rotting sweet… I like sweet tea and its too much for me. I’ve never tried it but the signs say they serve a 1.99 breakfast. 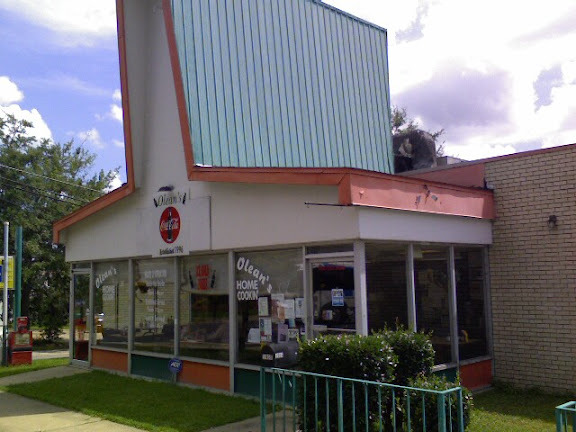 Olean’s serves absolutely the best fired chicken in Tallahassee. Nothing compares. The batter has just the right spice. Just inside that crisp, never greasy batter the chicken is moist and tender. If you have to try another meat just ask Ms Olean to add on a wing. That way you can have it all…. Don’t overlook the desserts- they are great but I seldom have room!